Why Buy from Audi Omaha in Omaha, NE? 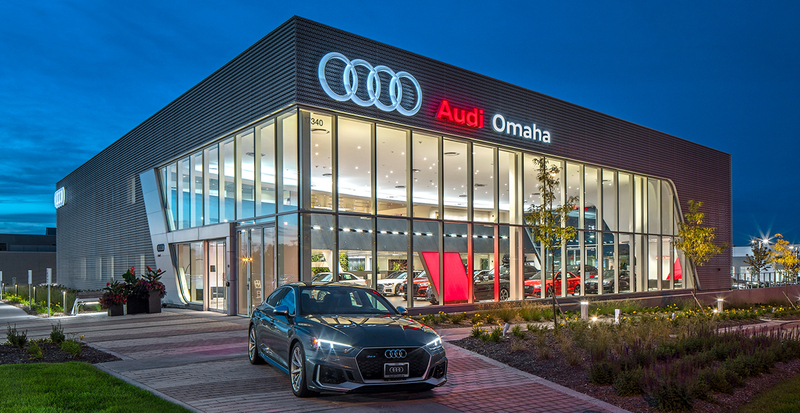 For those who crave a car that offers more, treat yourself to the ultimate luxury experience when you visit our award-winning Audi dealership in Omaha, NE. At Audi Omaha, we strive to provide customers with an exceptional experience, from our Audi sales team that will help you find a new or Pre-Owned Audi, to our finance, service and parts teams. We excel at delivering first-rate customer service in all facets of our dealership, which is why Audi Omaha was honored as an Audi Magna Society Elite Award recipient. By working together seamlessly to ensure every customer is satisfied, we have received the highest honor from Audi.